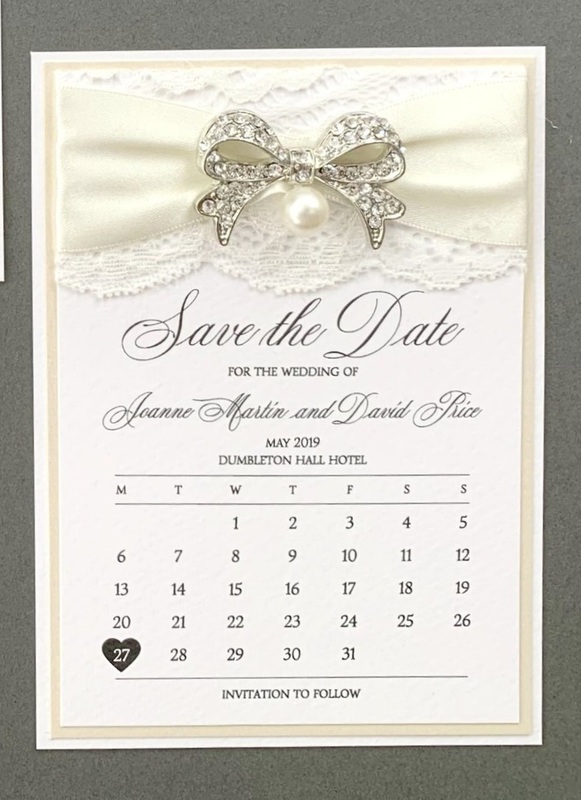 White lace gives this Save The Date option a classical, matrimonial look - this design comes from our Gaea collection. The lace combines with textured cardstock, a dazzling embellishment and choice of ribbon and cardstock colours to cater for a sympathetic or contrasting, bold scheme. All embellishments are shown below in their respective price bands - as standard Gaea comes priced with a “Band A” embellishment which can be upgraded to an alternative, such as the “Pearl Bow Mini” from Price Band E. Upgrade pricing is shown at the foot of this page. Gaea is provided as standard with a white base layer. The “matting” can be coloured as standard, which is the layer that sits between the base and the top. We’ve used “Ivory” for the pictured examples. 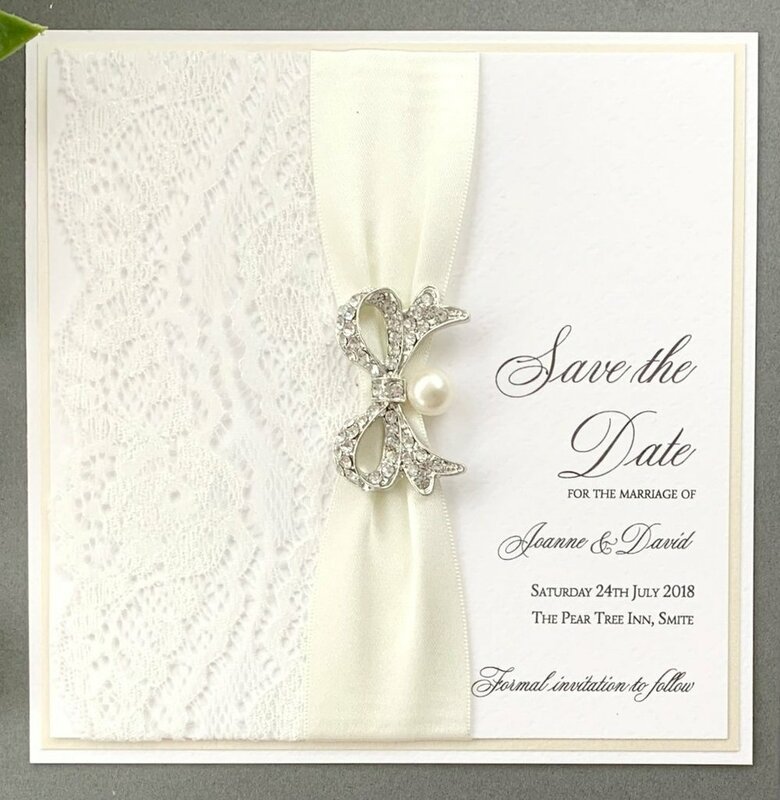 Our Gaea collection uses layers of Italian textured cardstock for its design alongside double-sided satin ribbon, decorative white lace and a choice of embellishments.